Bugsy's Pet Treats are made with organic, non-GMO ingredients including 100% human-grade meats and wellness herbs that are freeze dried. After her own beloved Labrador Bugsy suffered poor health, Joanne knew she needed to use her skills to help improve the lives of dogs and cats everywhere. 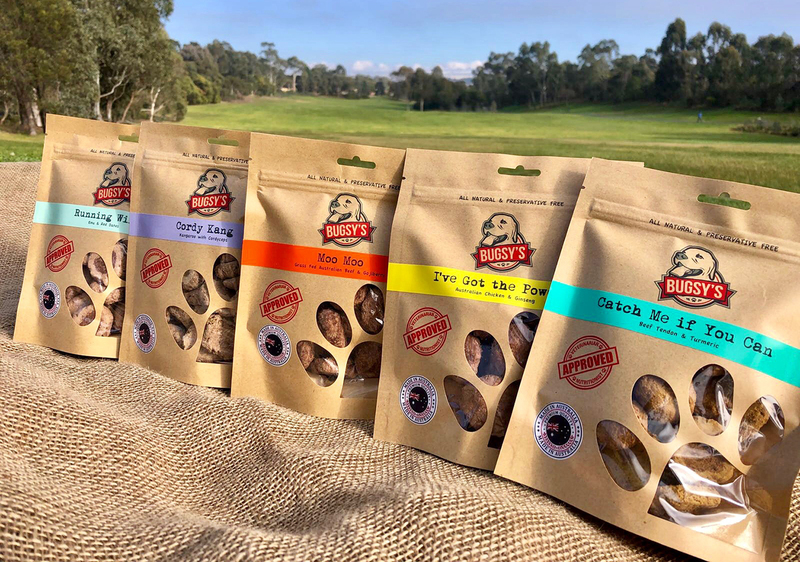 Bugsy's is the brainchild of Joanne Cooper - a Food Technologist and Nutritionist - who spent a decade in research and development with her team to develop Bugsy's healthy treats for dogs and cats. 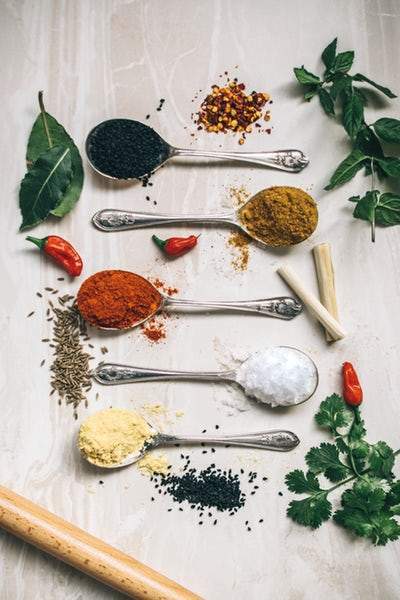 The philosophy behind this new range is a holistic approach to wellness which utilises the health benefits of ancient Eastern or Australian herbs to deliver sound nutritional outcomes. Both the sourcing of the herbs and manufacturing of the treats is done in Melbourne, Australia. To ensure the herbs are protected from aging and deterioration damage the treats are freeze dried in a process that ‘seals’ the food and leaves the herbs in the maximum levels of wholeness. 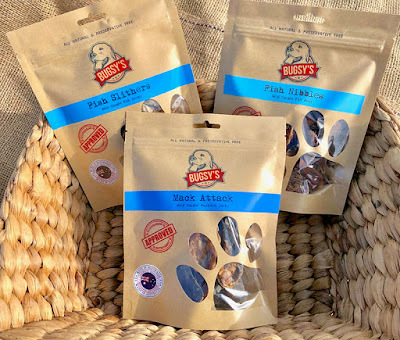 Using the best of Western nutritional science to complement natural health foods, Bugsy’s Treats take a revolutionary approach to pet health by focusing on preventative health nutrition through high quality food sources that put pets’ needs first. 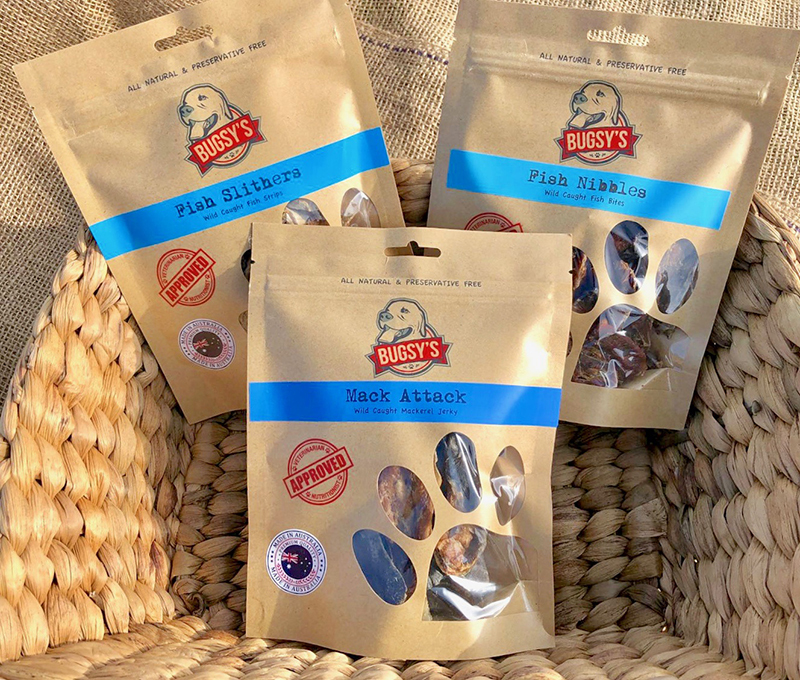 Instead of treating pets only when they become ill from poor nutrition, Bugsy’s range aims to maintain a strong and responsive immune system that will help them enjoy many more years of quality life, play, love and health. The range is quite extensive and the names of the various flavours are very creative! RRP: $13.00 - $15.00 (70g or 80g pack, free shipping for 4+ packs).